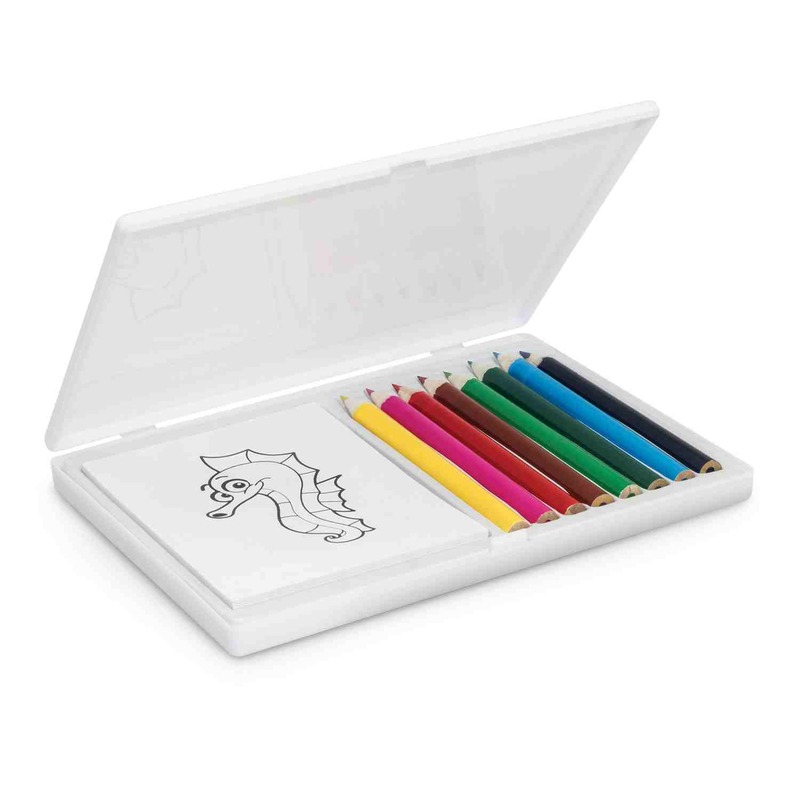 A colouring set that contains 8 coloured pencils and 19 different animals to colour in. 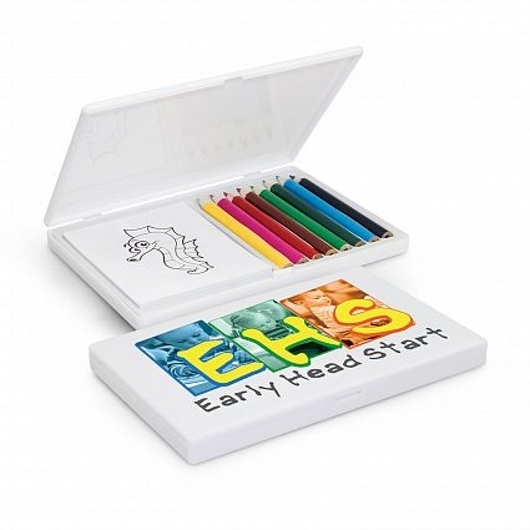 Make playtime fun with some of these coloured sets. They each contain 8 assorted colour pencils and a pad, printed with 19 different animals to colour in. 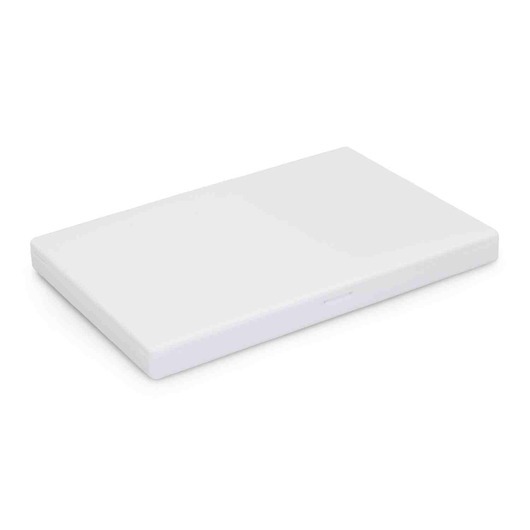 Not only do they all come in one easy to carry container, they have an excellent branding space that will allow your logo or branding message to easily be recognised.